Araloth's base has been fixed and he is now 100% finished! This was a super fun project to work on and the WIP posts seem to have been extremely popular too. This project also helped me realize where my niche is in this hobby; scenic bases, terrain and display pieces. Anyway, enough talk, here's Araloth! This is just a fantastic piece ! Everything about is just wow! You defiantly set the bar for scenic bases as the are just simply stunning and so realistic ! 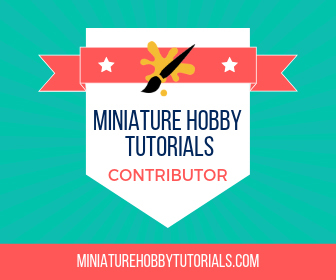 You have me thinking outside the box for bases to bring something extra , that next level to the miniature (of which I have never done before so your work has inspired that extra level of thought as I'm thinking of miniature projects. I'm love it when I hear that I've inspired people!